After years of lobbying by foreign aid advocates, NGO representatives, food security experts and U.S. government officials, lawmakers might be ready to open the door — at least part of the way — for food aid reform in 2014. Congressional Quarterly reported on Wednesday that U.S. budget appropriators have agreed to allow a Senate provision that would earmark $35 million for greater food aid flexibility. If the provision makes it into the fiscal 2014 omnibus spending bill, it would reduce by approximately one-third the amount of food assistance funding dedicated to “monetized” food aid for non-emergency programs. “Cooperating sponsors” - typically U.S. NGOS - accept donations of U.S. food commodities shipped overseas, sell them in developing country markets, and use the proceeds to fund development programs. 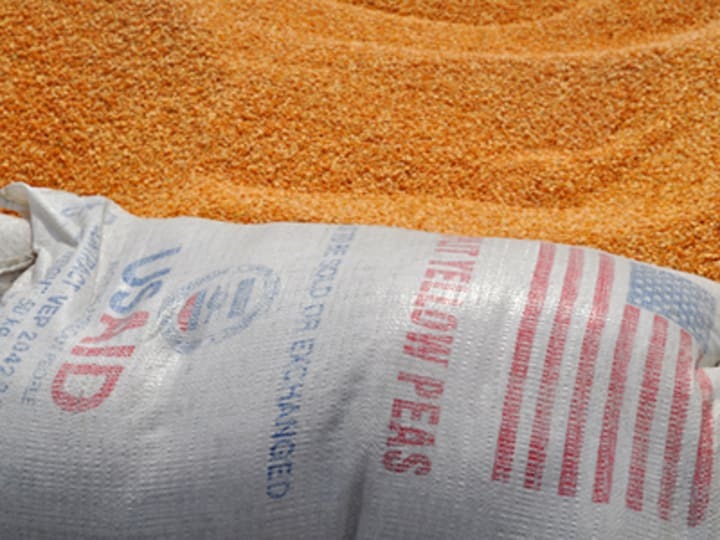 The practice applies to about $100 million of a $375 million safe box set aside for implementing non-emergency development projects under the U.S. Agency for International Development’s Food for Peace program. Several evaluations by the Government Accountability Office and other entities have shown the practice is inefficient and inflexible, and the Senate appropriations committee reiterated that point in its bill last summer. “The Committee recognizes that the practice of monetization contains programmatic inefficiencies for non-emergency assistance,” the appropriations subcommittee wrote in its agriculture appropriations bill in June. Many aid groups have been pushing hard for the change and a widespread — albeit not universal — hope among aid advocates now appears to be that legislative reform is finally pushing ahead. “The changes [would] really improve the efficiency of the Food for Peace development program and … mitigate the need for future emergency assistance. … We’re hoping that Congress will pass this provision into law,” said Katie Lee, advocacy and policy coordinator at InterAction, who has been representing the U.S. aid community’s position to lawmakers. Monetization adds an “extra burden” to development professionals who often find it “extremely difficult” to sell in-kind commodities, Lee explained. NGO have to develop specialists who are committed to the cumbersome monetization process, rather than focused on food security program implementation directly. This is why change advocates hope a successful reform measure within the fiscal year 2014 omnibus spending bill will help generate more momentum for additional reforms to take place within the U.S. Farm Bill — which is also nearing completion — and elsewhere this year. Congress must pass a spending bill by Jan. 15 — or agree to a short-term extension — if another government shutdown is going to be avoided.